The idea for Tablelands as a wine company began in January, 2009 in New York City during a conversation between two wine-loving mates; Magnus Riddiford and Simon Buck. However, the inspiration for the wines they set out to make was born much earlier. Magnus's family has lived for generations in Wairarapa where they developed a strong kinship with the land. 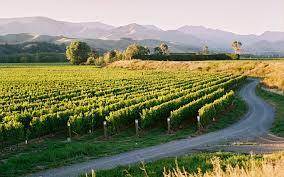 It was here, among the flattened hilltops and gently rolling gullies of Martinborough, that the Riddiford ancestral home "Tablelands" was built. The countless meals and bottles of wine shared within the walls of Tablelands imbues that place with a sense of home that both Magnus and Simon want to convey every time their wine is opened. From their lands to your table, it's hard to beat toasting the Kiwi-way with a bottle or two of Tablelands.